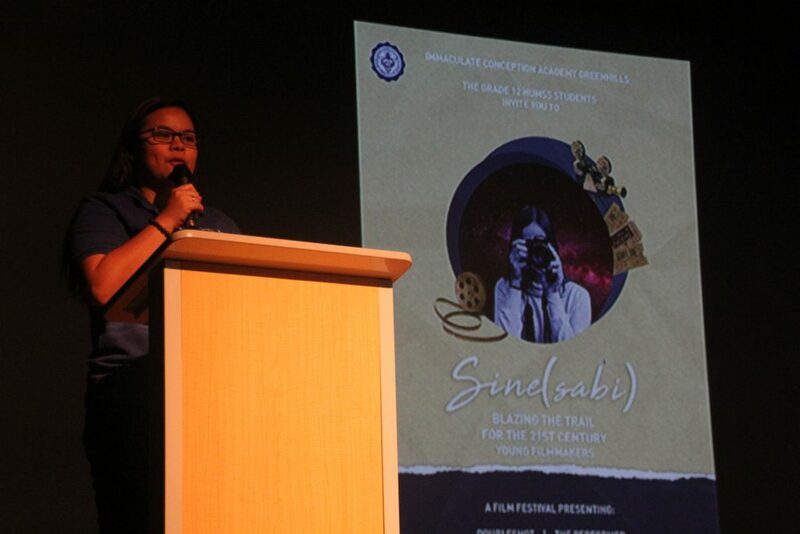 The classes of 12-Sobriety and 12-Solidarity showcased the excellence, creativity, and values they have gained as students of the Humanities and Social Sciences (HUMSS) strand through their culminating activity entitled, “SINEsabi: Blazing the Trail for 21st Century Young Filmmakers,” last February 21, 2019 at the 5th floor of the Henry Sy, Sr. Building. 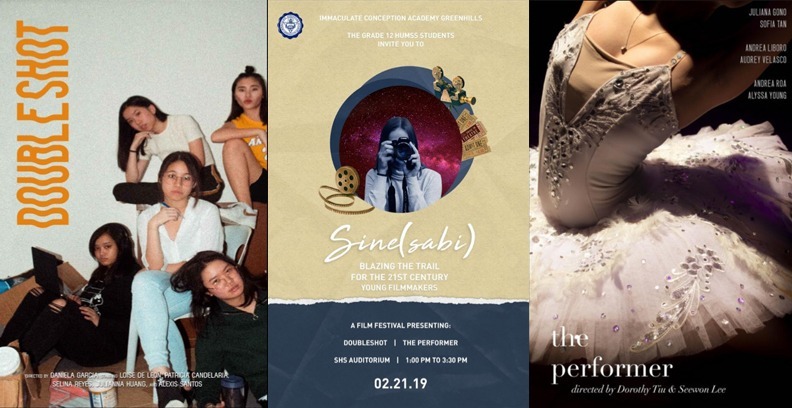 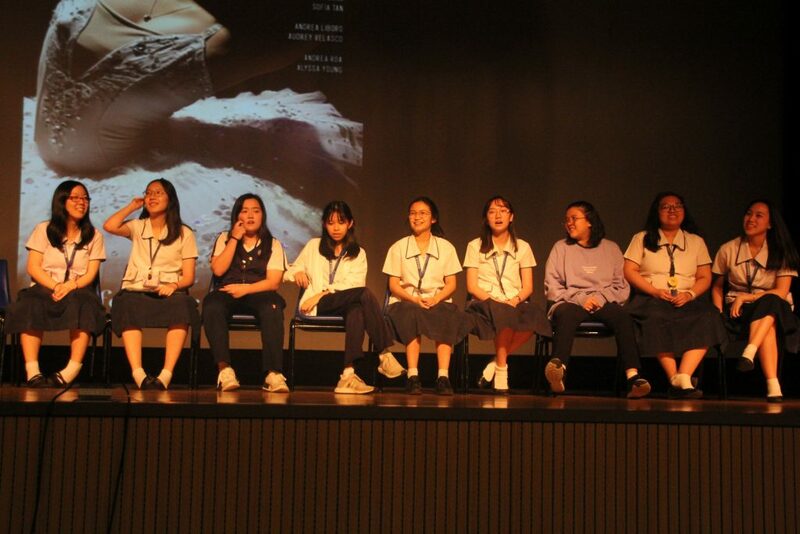 The culminating showcase featured a film festival which played two short films produced by the Grade 12 students, as well as an exhibit. 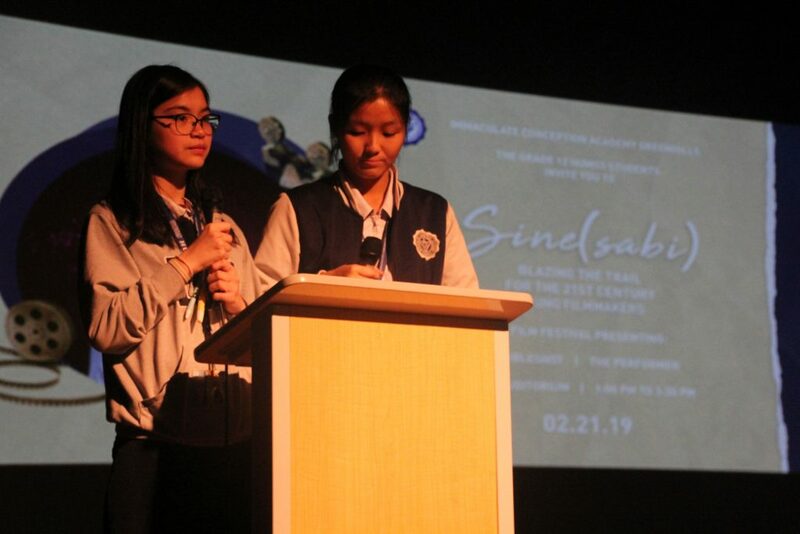 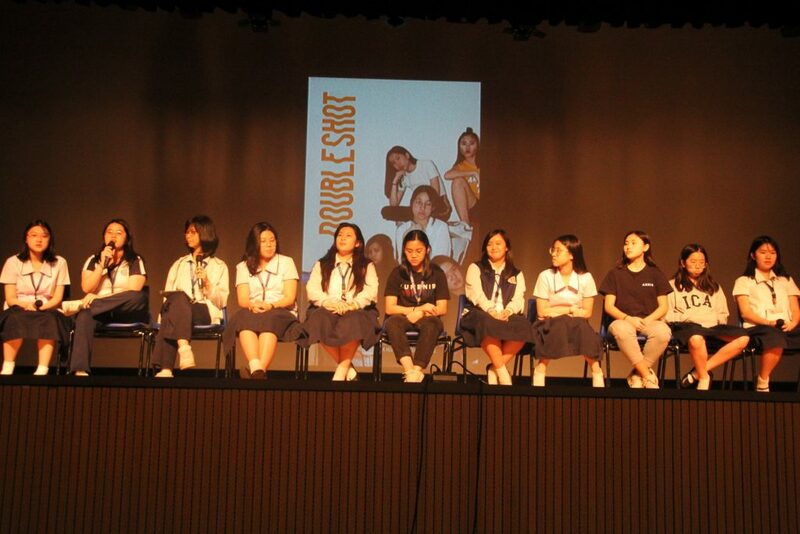 Thea Sy (11-Counsel) and Yanrong Peng (11- Fortitude) served as hosts for the program held in the Senior High School (SHS) Auditorium. 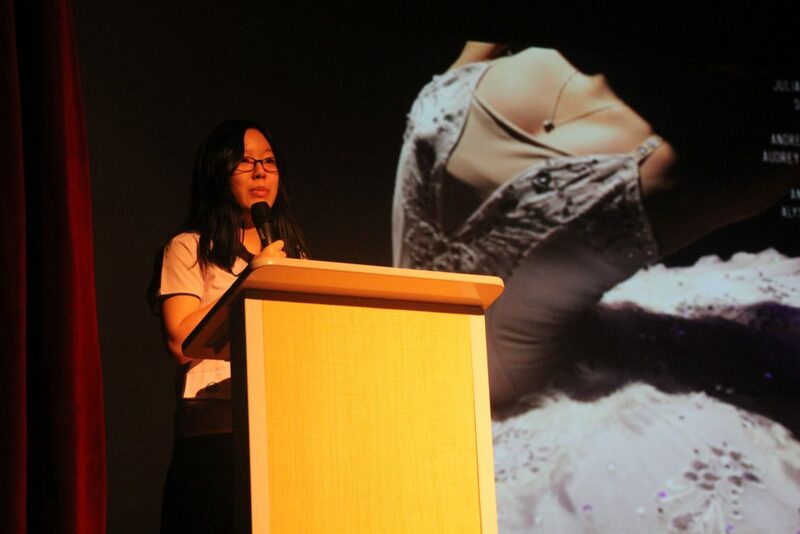 their production of “The Phantom of the Opera” looms near, personal conflicts and doubts arise. 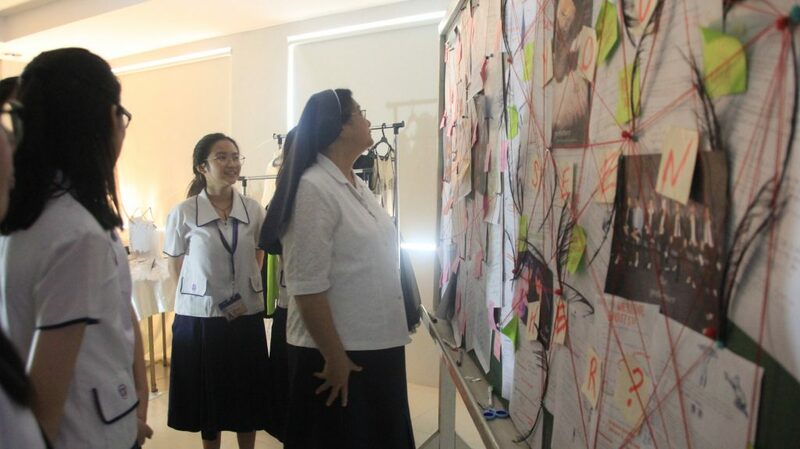 fear and passion in the complicated road to success. 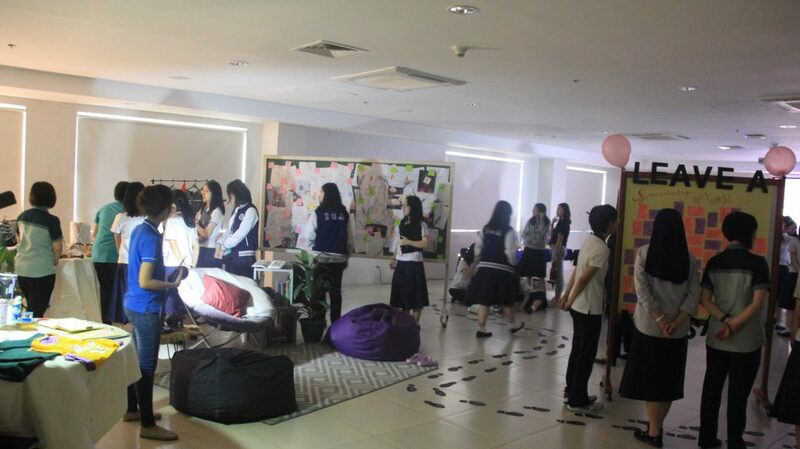 specialized subjects such as Creative Writing and Journalism. 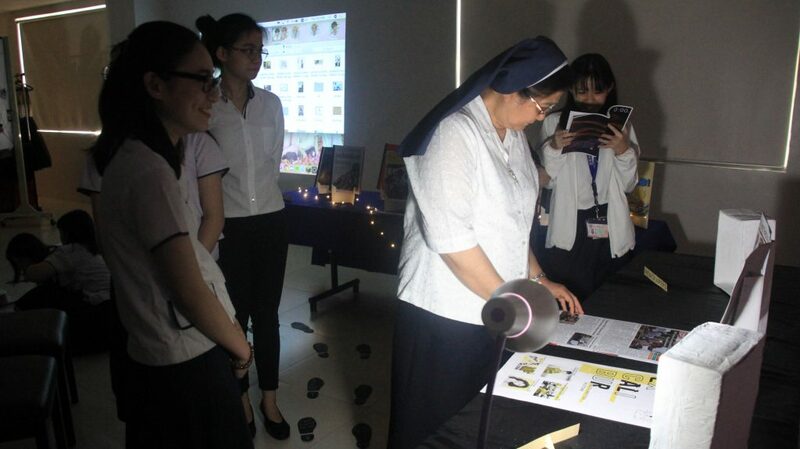 Some of the featured works in the exhibit included literary magazines and newspapers, along with crucial props and behind the scenes photos from “The Performer” and “Doubleshot.” The original one-act plays that the two classes produced and performed earlier in the school year were also available for guests to view. 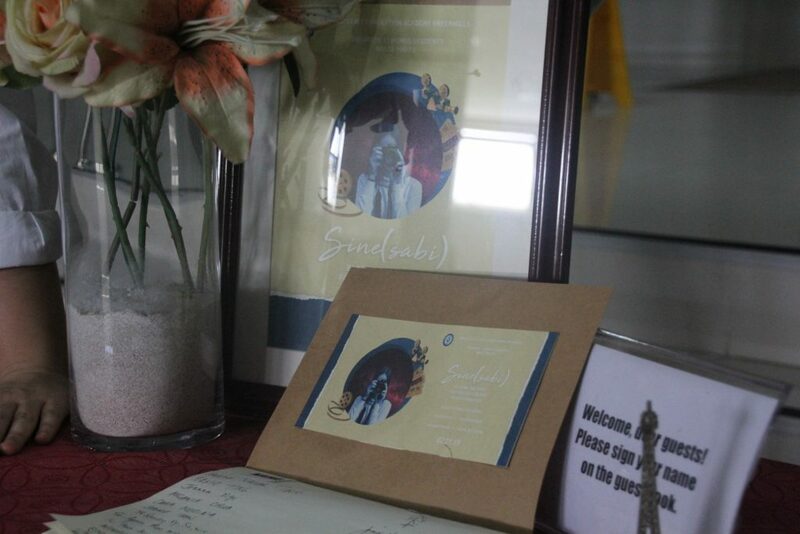 was also set up, giving guests the opportunity to immortalize their participation in this special occasion. 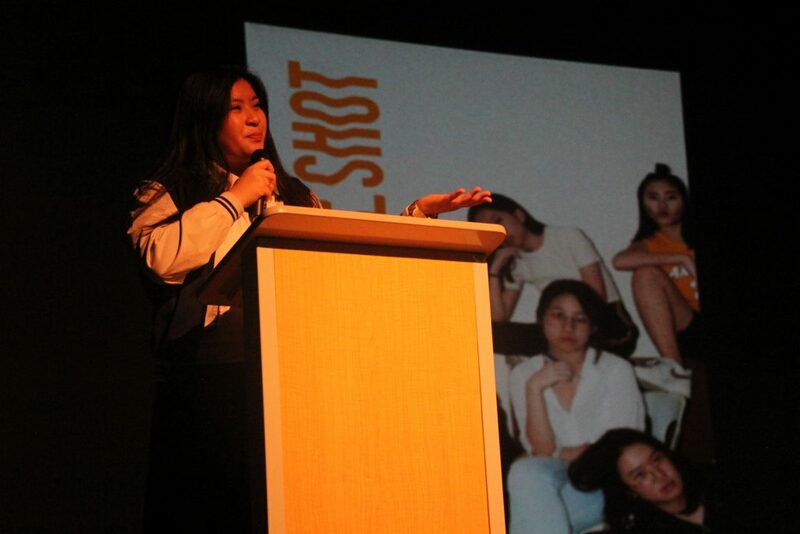 The dream-themed exhibit was co-headed by Ria Phi (12-Sobriety) and Casey Yap (12- Solidarity). 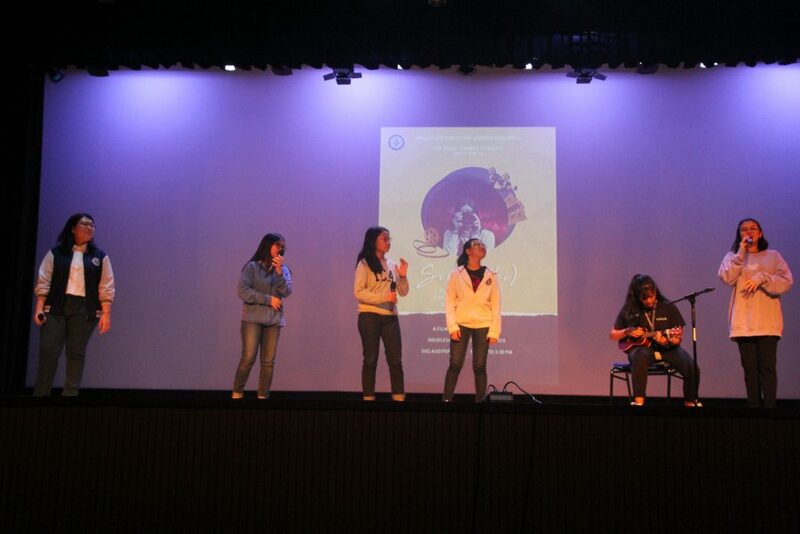 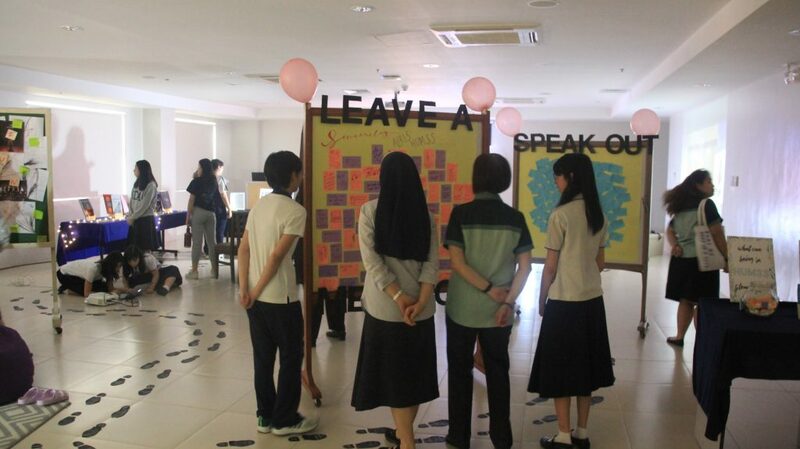 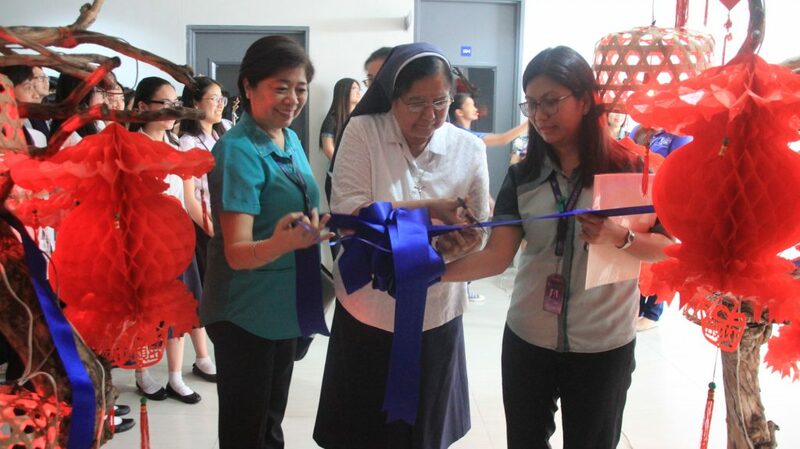 Grade 11 HUMSS students, school administrators, faculty, and parents attended the event.